Bacharach has introduced an exciting new summer lecture series designed to educate and inform our staff about the latest issues, technology and treatments in rehabilitation. The first speaker to present on July 17 was our own Dr. Abraham Alfaro (above), who spoke about Spasticity & Dystonia: Injections & Therapies. Spasticity is a common side effect after stroke, cerebral palsy, brain injury and multiple sclerosis. Dr. Alfaro described the process of using injections of lidocaine and botulinum toxin to relieve spasticity. 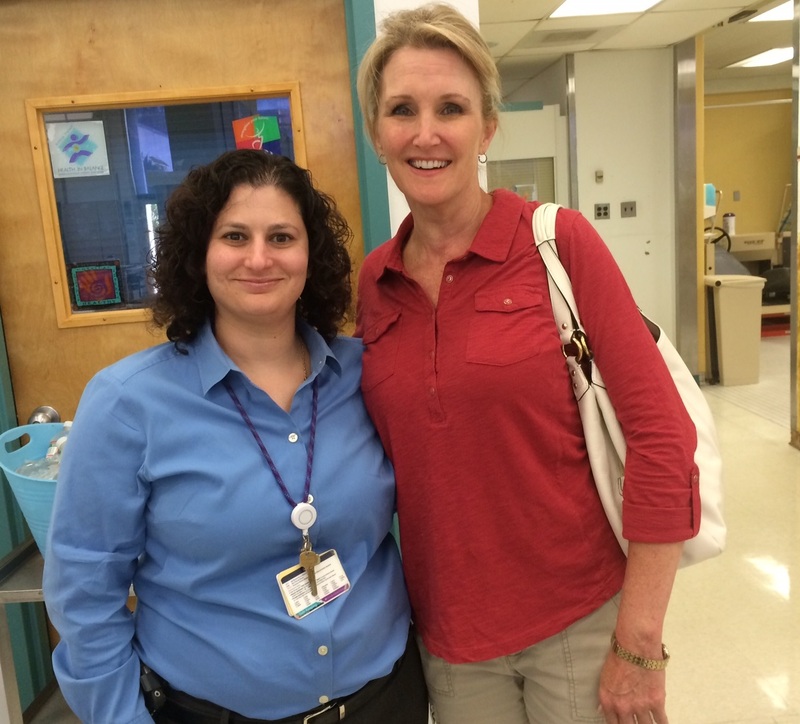 Dr. Arlene Goodman (pictured at right with Karen Hanson, PT) joined us on July 30 for a talk on concussion management. She is an orthopedist with The Children’s Hospital of Philadelphia and specializes in caring for young athletes who have sustained concussions. Her informative seminar, titled, “Concussion Management: Oculomotor & Vestibular Therapies,” highlighted the importance of managing visual convergence. 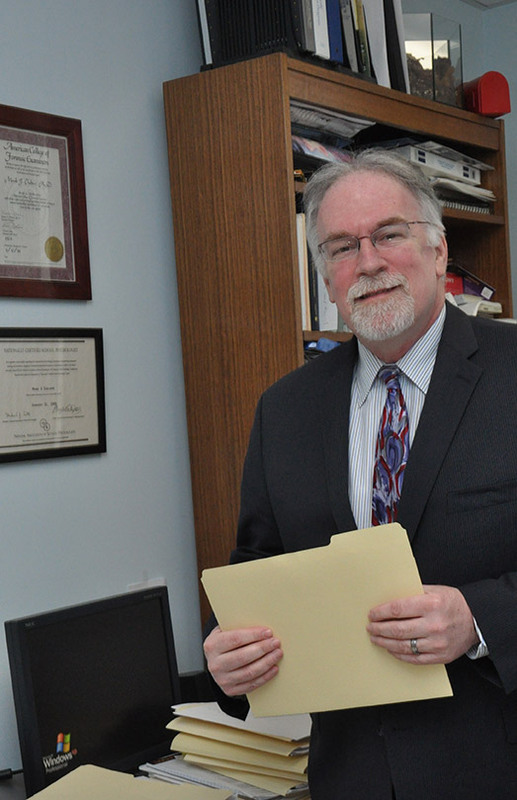 Dr. Mark Chelder (right) hosted a presentation August 4 from ReMed, a national provider of inpatient and outpatient services for brain injury patients who have long-term behavioral issues. 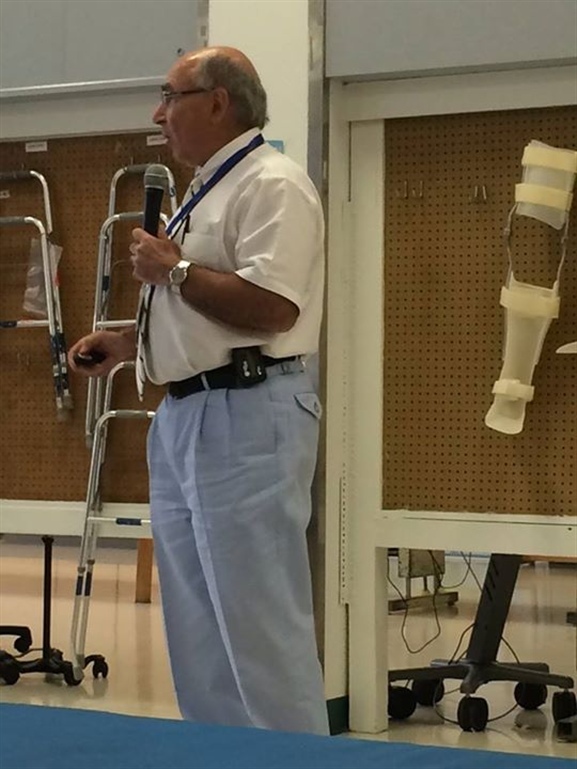 On September 9, Steve Reeves from ReWalk Robotics introduced our physical and occupational therapy teams to the newly FDA-approved exoskeleton that enables spinal cord injured patients to stand up and walk.